Formed in January 2008, Leesburg, Virginia’s Send The City started out with the name ‘Scarbaro’ under a group of four fourteen-year-olds. On the road to success, the band changed names twice before stumbling upon their current name. Send The City struggled for two years, taking many a punch for daring to focus in on a set style that everyone in the band enjoyed, and was also original. In 2011, they released their first self-titled EP that finally pushed some hype into their name. About a month after the release of their first EP, they released two singles, Until We Surrender and If You Could Remember, which had at last focused in on their desired style, and began to skyrocket their popularity. In early 2012, Send The City is going to release their new EP entitled “Before the Day Ends”. This latest EP is their finest work to date, and is highly anticipated among their fans. Send The City is a band whose genre is difficult to describe. 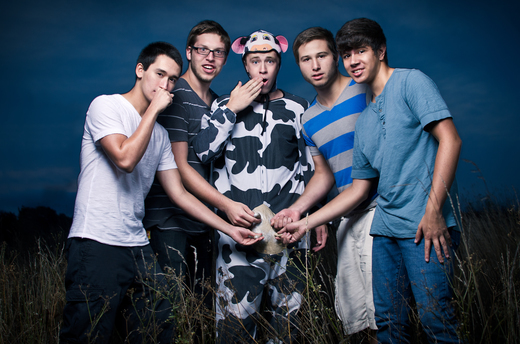 They mainly incorporate the genres of pop-punk, easycore, and some metal. However, the listener will also get the sense that the guitars are influenced by some Spanish techniques, and that the vocal technique is somewhat inspired by R&B. With beautifully inspired melodic and chordal progressions, intense breakdowns, and unique vocals, Send The City is truly a band worth listening to.